Happy Mother’s Day! Check out Zoku’s latest recipe for all the Moms out there. 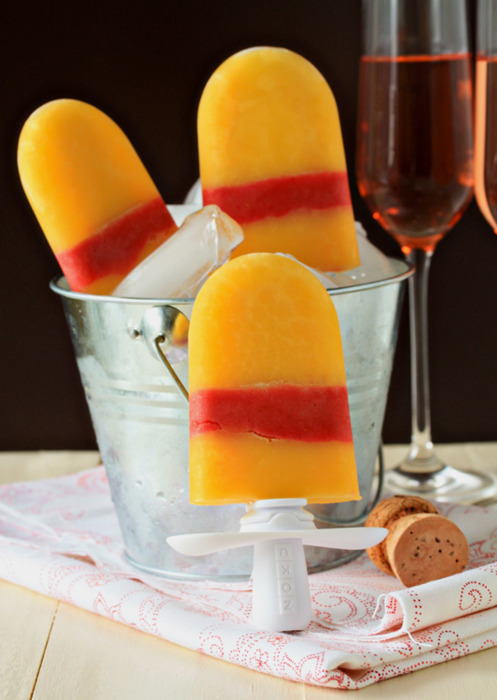 Treat yourself to a little time out with Zoku’s Mimosa Quick Pops. (This recipe is also delicious without champagne!) This is Zoku’s first ice pop recipe that contains alcohol. Little known fact: One of the first things that many adults ask when they first see the Quick Pop Maker is if they can use alcohol in it! Puree strawberries and 3 tablespoons of orange juice in blender until smooth. Pour ½ ounce strawberry puree into each cavity directly on top of the orange-champagne layer; allow layer to freeze completely.